It’s spring time, and recently I decided to do a spring cleaning of my body. I like to periodically (once or twice a year) do cleanses because it feels so satisfying. Even though I eat healthy, I live in a big city and there’s pollution in the air, and probably pesticides and toxins on my fruits and veggies that don’t all come off when I wash them. So get those out. It’s also mentally cleansing. Eating basic foods on a cleanse puts my eating habits back into focus – for example, portion size. Or that habit I got into with eating a few homemade cookies after lunch AND dinner. I find it a good reset and reminder (after I’m done) that my body feels better when I have healthy habits. My green of all greens salad! 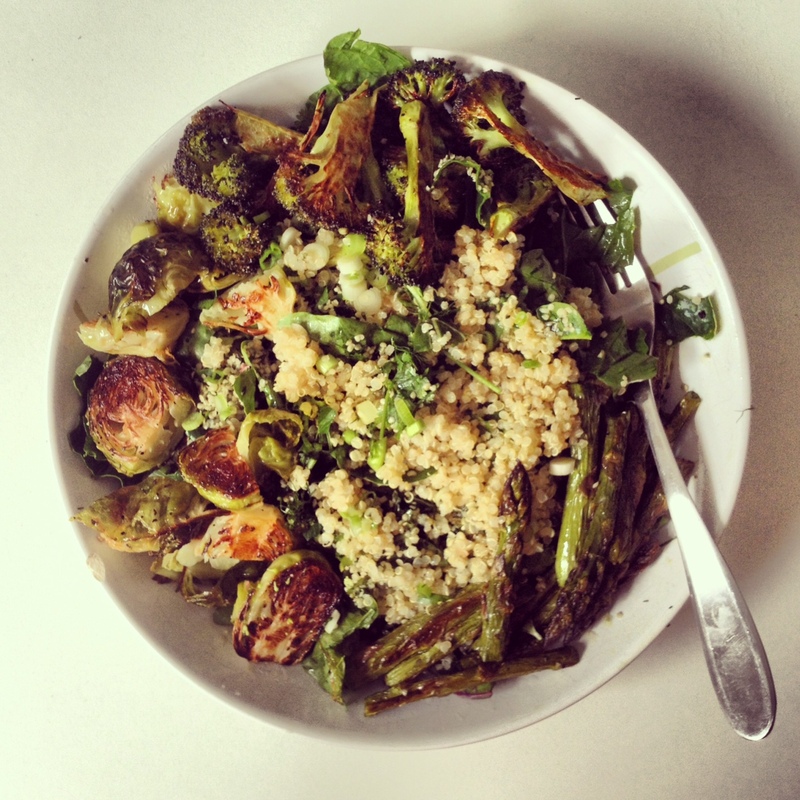 All sorts of leafy greens, roasted brussel sprouts, asparagus, and broccoli, quinoa and hemp seeds… lots of goodness! This recent cleanse I did I had to eliminate ALL sugar. White sugar – easy peasy. Maple syrup – ooook, but I guess all those homemade goods in my freezer will have to wait a few weeks to be eaten. Fruit – wait, excuse me!? I can’t have fruit? I also had to eliminate anything that was fermented, or could have mould – so all nuts (almonds are ok), mushrooms, miso, kombucha. Oh, and yams because they’re high in sugar. And all condiments (because 1) any store bought one usually has sugar, and 2) because they’re mean). Basically everything I eat on a daily basis I couldn’t eat. How many days was I going to do this again? 15. 15 looong days. Just kidding. Sort of. The first 5 days were TOUGH. As with most cleanses, the initial detox in the first few days releases a bunch of toxins and makes people cranky, headachy, and generally under the weather. I also realized just how much natural sugar I have in my diet – my fruit smoothie for breakfast, my homemade tahini sauce that I use on rice bowls, my reliance on homemade yam fries as a food group. So I’d make a salad… but then realize that I couldn’t have vinegar, so my dressings became olive oil and lemon. Okay, I can get by on that. What about dinner? Veggies and rice/quinoa with lemon. Ok, that’s not too far of a stretch. I also had lots of fresh made green juices. 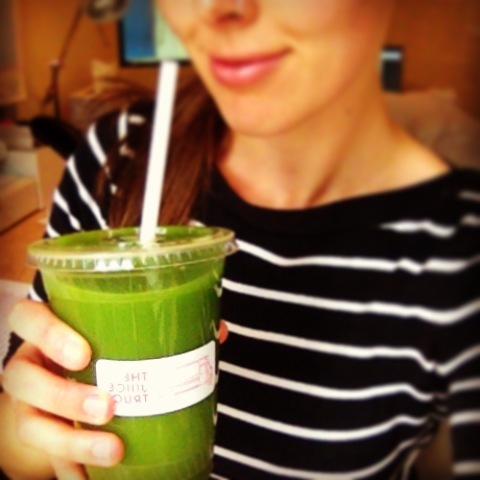 A green juice from the Juice Truck in Vancouver. Breakfast was the hardest. Try and think of a breakfast you have without ANY sugar, or yeast. I’m pretty sure it’s impossible, regardless of being vegan. I got by with having rice cakes with avocado, which held me down for a few days, but I started to get bored. I did find one recipe for rhubarb oatmeal which saved my mornings (I liked the recipe so much I’m still making it even off the cleanse!). About 7 days in, I got pretty irritated. I was hangry, had no food in the fridge and was craving everything I couldn’t eat. I remember the nutritionist that recommended the cleanse told me that I shouldn’t punish myself if I wanted to eat something not on the cleanse, so I grabbed a energy ball from my freezer (temporary relief of deliciousness) and headed to Whole Foods with the hope I could find a sugar-free, yeast-free, delicious treat that would make eating fun again. If anywhere would have it, they would. Whole Foods came through. Glutenull bread saved me from ditching the cleanse. They make sugar free, yeast free bread made from quinoa. And it’s moist. And it’s delicious. And it’s locally made. I love that there are so many chefs and bakers out there creating good foods catering to dietary restrictions! Ditto for Yummus – locally homemade hummus that is to die for! So those helped me out, and I did finish the cleanse. Snack time. 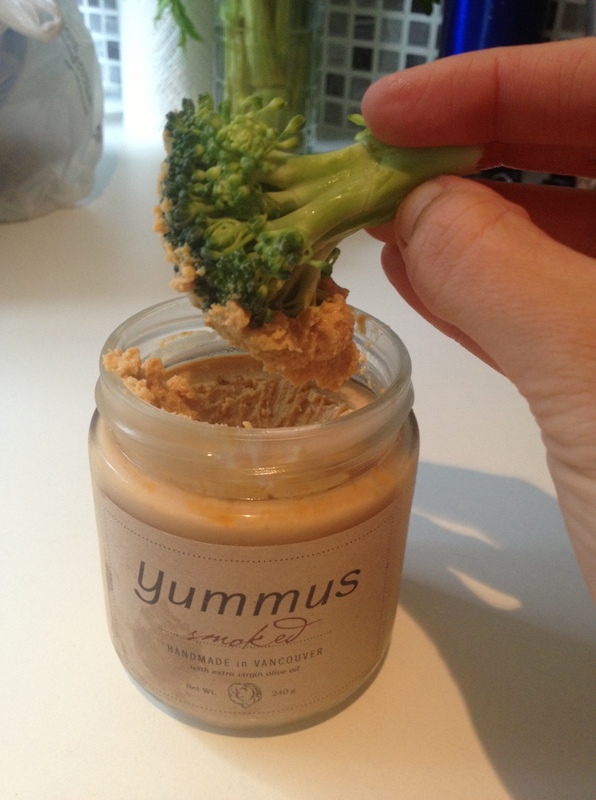 Sometimes I just take a spoon to the jar, this is my favourite kind of hummus! Let me be honest, because if you decide to do a cleanse, and have a few hard days like I did, I don’t want you to give up! I cheated. On multiple occasions Those energy balls I had in my freezer were healthy, but had dates (super sugar high), walnuts, and maple syrup (among other things). I figured the quantity was so low in each of them, that it really wouldn’t be that bad, and it helped me to have something a bit sweet every so often. I also had a couple dinners out, one where I had a work dinner, and so even though they made something vegan for me, I’m sure it didn’t exactly follow my regime. They also made a vegan dessert especially for me, so how was I to say no to that!? 😉 So do what feels right. It won’t ruin the cleanse to cave a few times. I think the most jolting thing I realized through my cleanse was that I eat a lot of sugar and a lot of nuts. Most of my sugar is from natural sources (fruit, dates, raisins) so I thought it was healthy, but quantity makes a difference, and I’m going to be more conscious of my sugar intake. Everything in moderation, right? When I started incorporating sugar back into my diet, I realized that my tolerance for sweets was less than before – so I must have gotten used to the sugar high feeling before. Eeek. For breakfast, I’m changing my sugar-high smoothie ways and have been experimenting with green smoothies that will be filling and taste good, but have only one element of fruit and lots of healthy greens. Stay tuned for a recipe! I supported my body during the cleanse by not exercising too much, doing infrared sauna’s almost daily, and dry brushing to help with the elimination of toxins.